On de one hand, dis movie not as good as de original or sekwel. On de other hand, it not make monster want to vomit, kick in his t.v., or punch someone in de nards. Movie pick up where last one left off. Jean Grey be dead and X-Men be in mourning. Cue cornball cliche shot of boyfriend Cyclops single-tear-tracking-shot. Monster understand dat Wolverine charakter more popular but dis feel like a bad creative decision dat never really pay off. 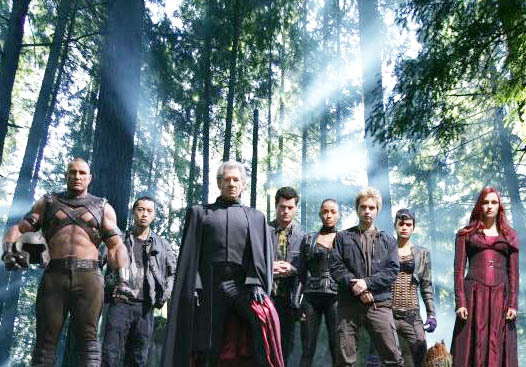 Magneto gather up his gang of merry evil mutants and camp out like a bunch of nature-loving Occupy Forest protesters. His plan: get Dark Phoenix. Oh, and scuttle plans for anti-mutant drug by eliminating de source: a boy, nicknamed Leech, who possess mutant-dampening powers. Magneto and his Merry Men. And some women. So, we have two major stories – return of Dark Phoenix and introduktion of mutant scare – either of which would have made a great plot for one movie. Instead, by cramming dem both into a single film, dey lumber and jockey for position like Big Bird and Snuffalupagus during last call at Ye Olde Goldbricker Pub. 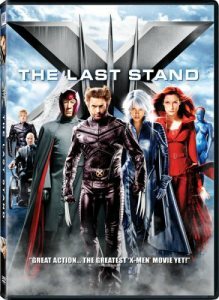 As a result, de climactic battle between de good and evil mutants, while visually specktacular, be devoid of any real emotional stakes. Sure, we don’t want Magneto to kill de kid and, sure, we know it going to be hard for Wolverine to skewer Phoenix, but ultimately it just feel like unsatisfaktory rush-job (Which remind monster. Do NOT hire Grover’s brother’s company to renovate your home. Monster slept in for forty eight hours straight until me realize it not night time but just dey painted windows as well.). Phoenix looks like she rose from the ashes of a tequila bender. Casting of Vinny Jones as Juggernaut. He famous for what exaktly? Me guess NOT akting. Decision to kill off Professor X partway thru movie deny audience great climaktik face-off between him and Magneto. Dis especially weird since Magneto strategizes final battle like game of chess (ie. sacrificing pawns), someting dat would have made more sense if Professor X was strategizing on de other side since it already be established dem playing chess against each other in previous films. Decision to cast Dr. Fraisier Crane as Dr. Hank McCoy, a charakter who do next to nothing. Scene in which army surrounds mutant camp and rush in, only to diskover heat signatures picked up on satellite were all versions of Madrox the Multiple Man. What de point? Oh, and why did Jean come back as Dark Phoenix? Dis never clearly explained. Verdikt: Too much going on result in confusing, unsatisfaktory turd installment. Scene of golden gate bridge being extended to Alcatrz pretty cool tho.